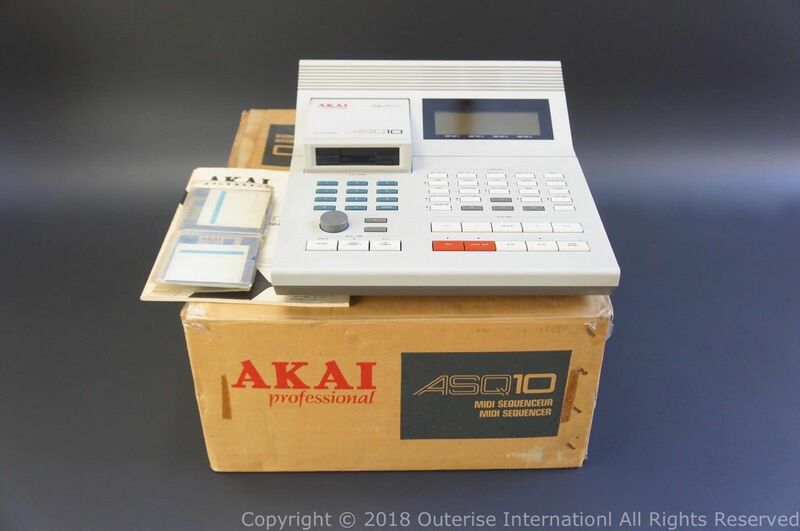 “THIS AUCTION “IS” FOR AN AKAI SO1 SAMPLER, PRE-INSTALLED WITH A USB FLOPPY EMULATOR LOADED WITH 170+ DISK IMAGES FULL OF SAMPLES. THIS VERSION CONTAINS A NEW PRE-FITTED OLED DISPLAY SCREEN WHICH GIVES FILENAME, DISK TRACK AND OTHER INFORMATION, ALSO SUPPORTS FOLDER & SUB-FOLDER NAVIGATION. 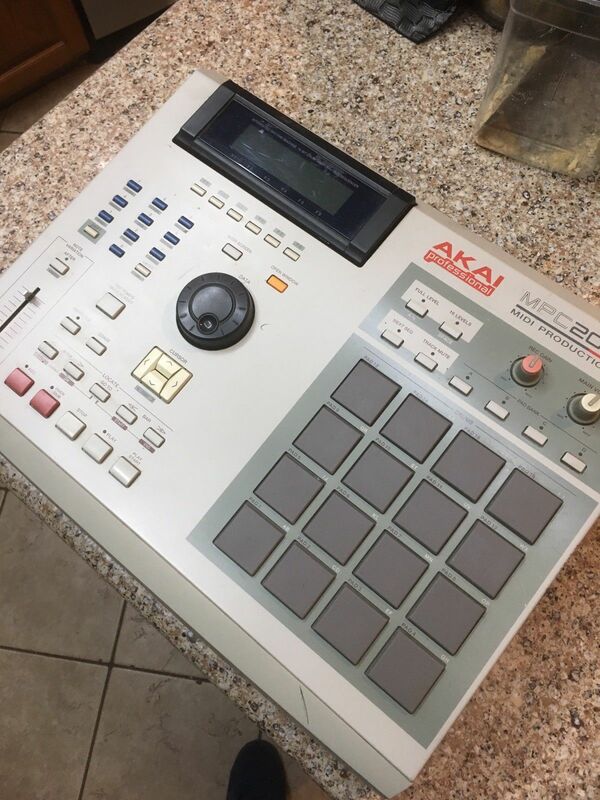 “Akai MPC500 is in good overall condition and fully functional. 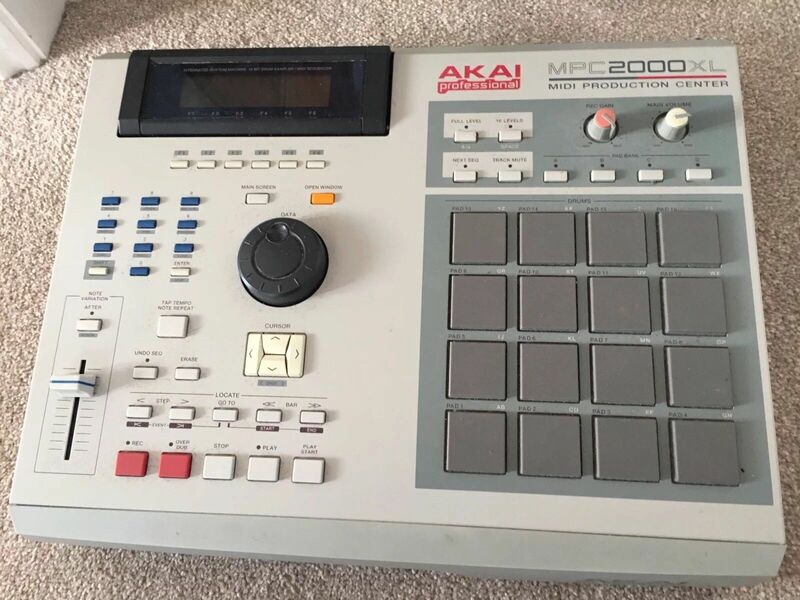 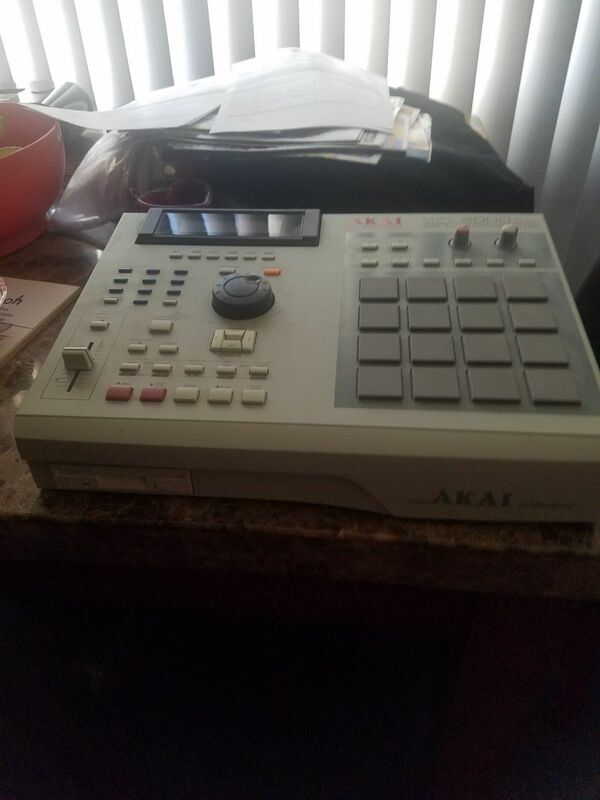 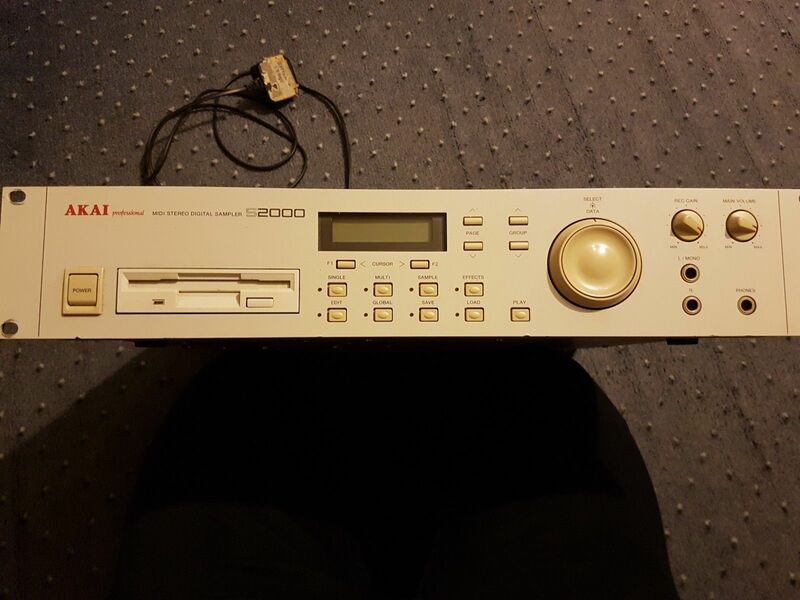 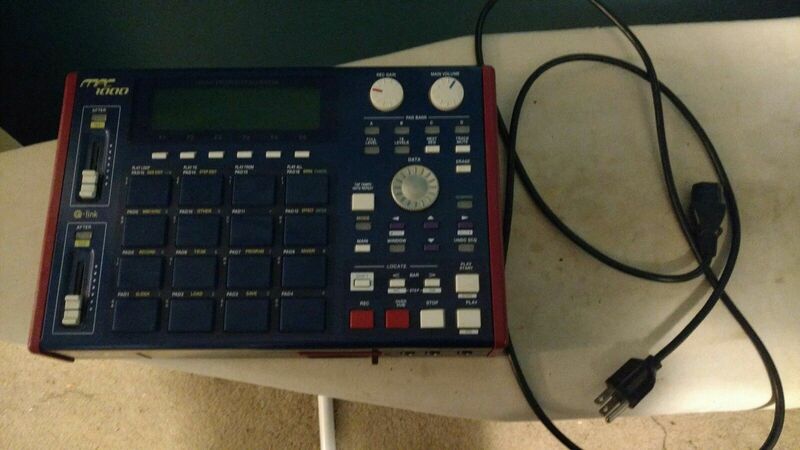 “For sale, I have my Akai MPC1000 with loads of upgrades! 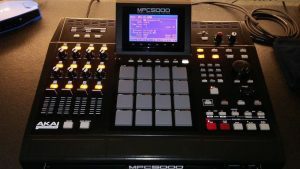 The MPC works great and has the following upgrades, most of which have been imported from MPC stuff! 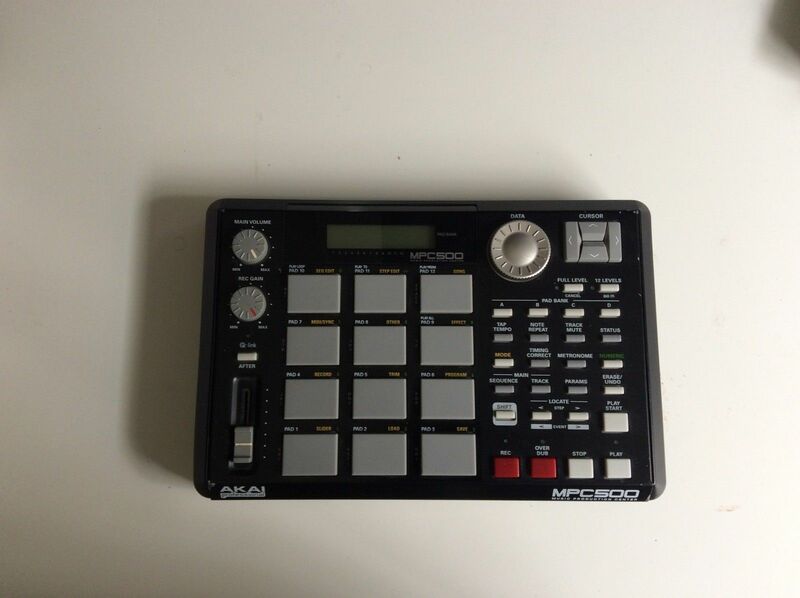 Please note that this is the black model of the 1000 so the pads are upgraded from the blue model. Working condition, TURNS ON and works, HOWEVER, THE TOP AND BOTTOM ROW OF PADS DO NOT WORK (8/16 TOTAL PADS NOT WORKING) CHEAP FIX IF YOU HAVE THE TIME. 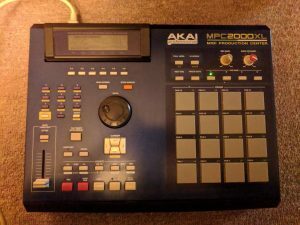 “Item is used but in perfect working condition. 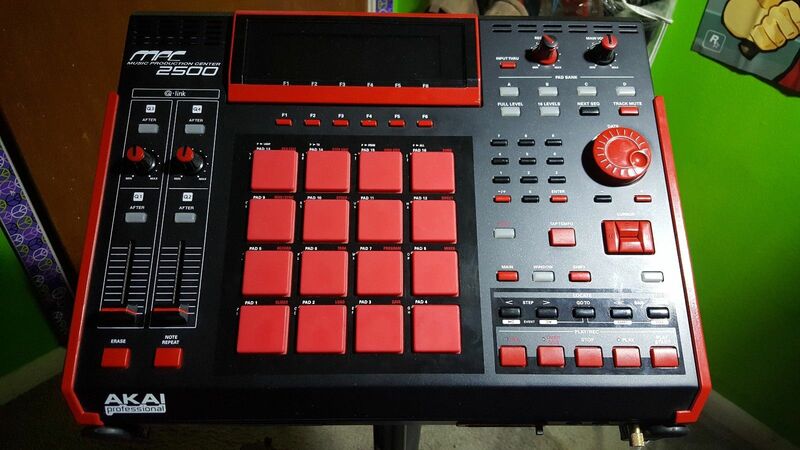 I bought it brand new a few years back at retail. 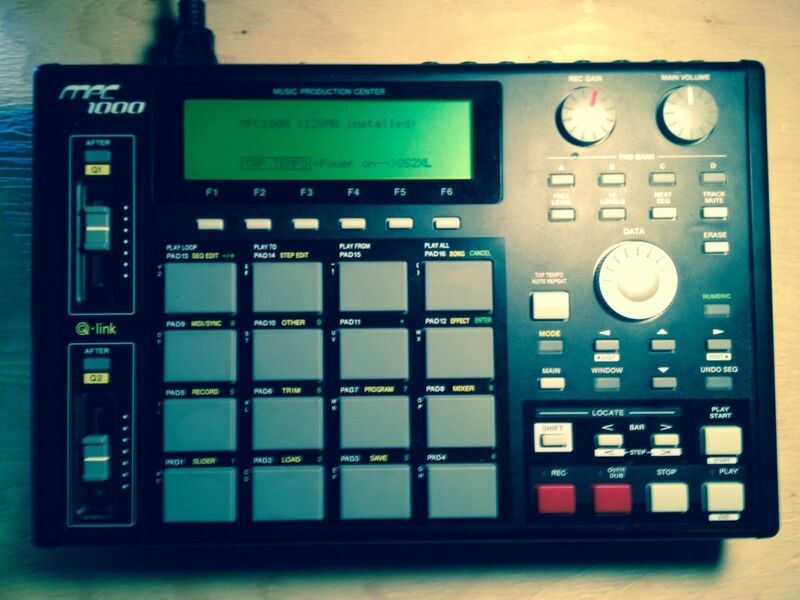 Slightest of cosmetic damage if you could call it that, but otherwise perfect. It was kept in my studio and saw only slight usage. 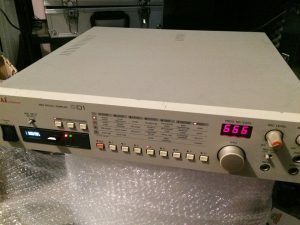 It has the upgraded CF card installed. 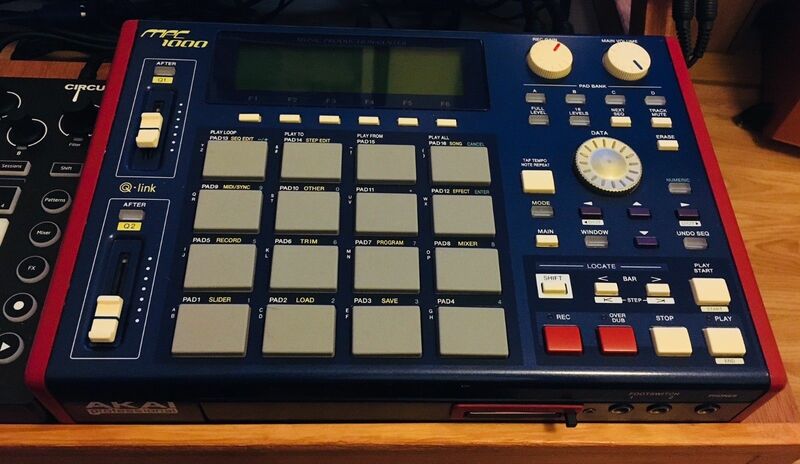 All original packaging. 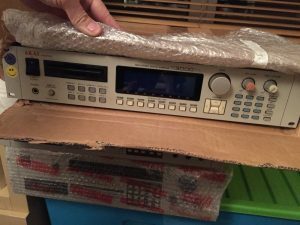 The box has some wear and tear on the corners. 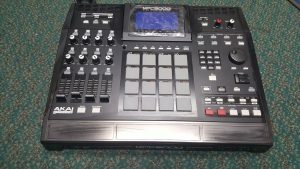 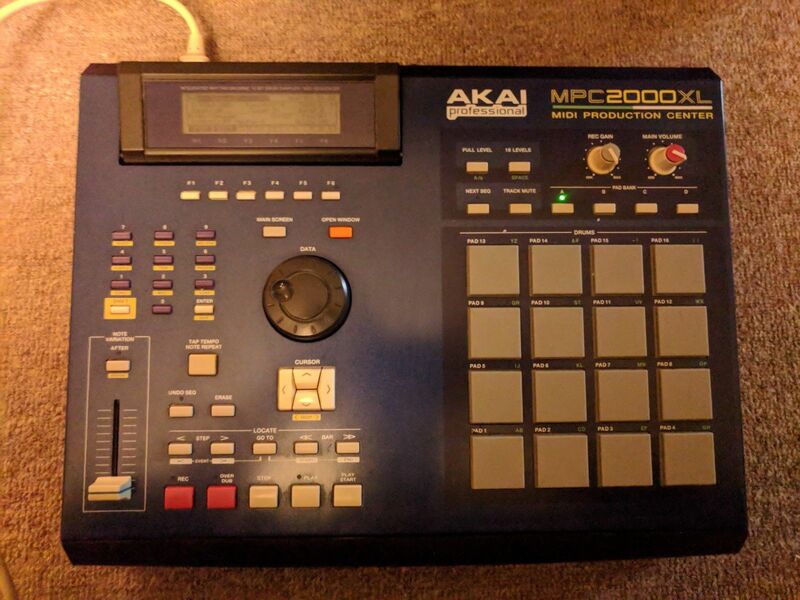 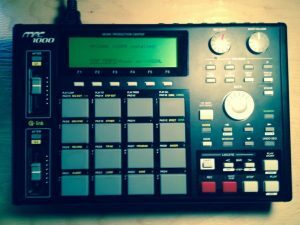 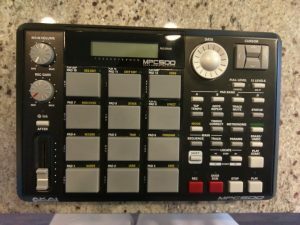 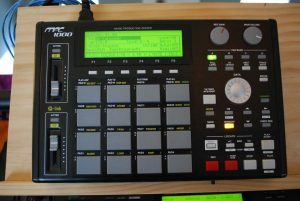 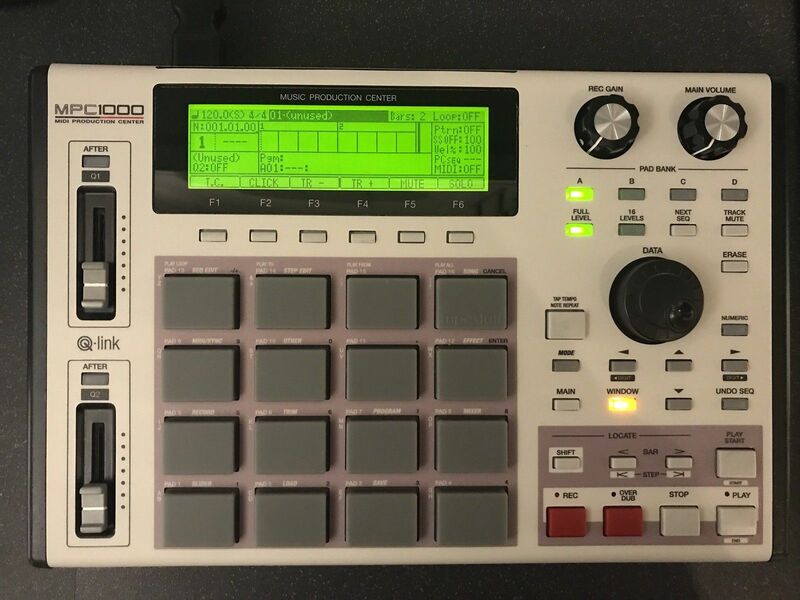 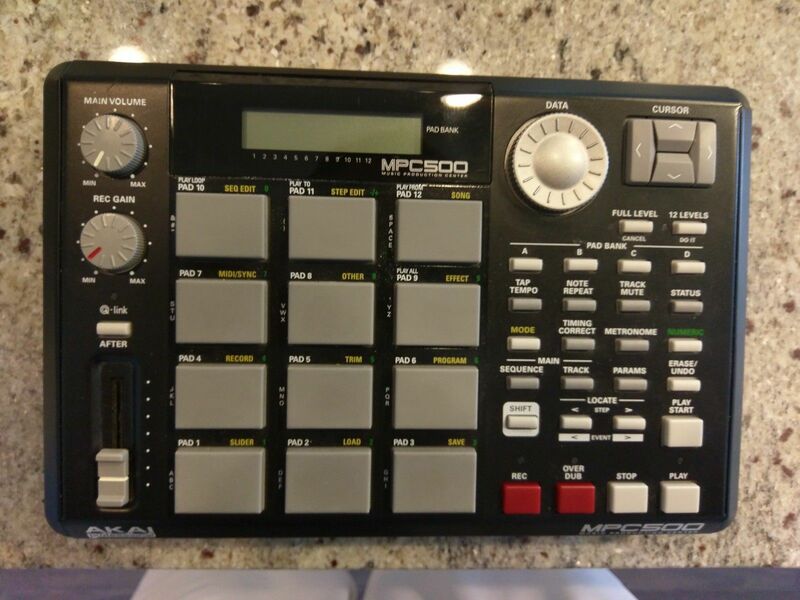 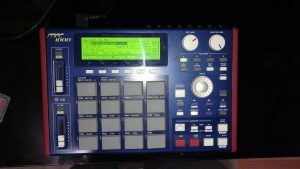 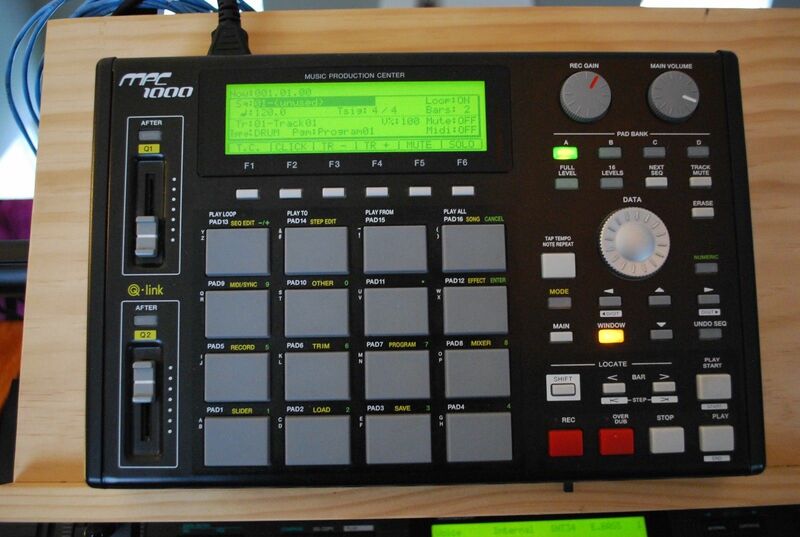 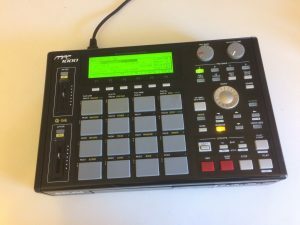 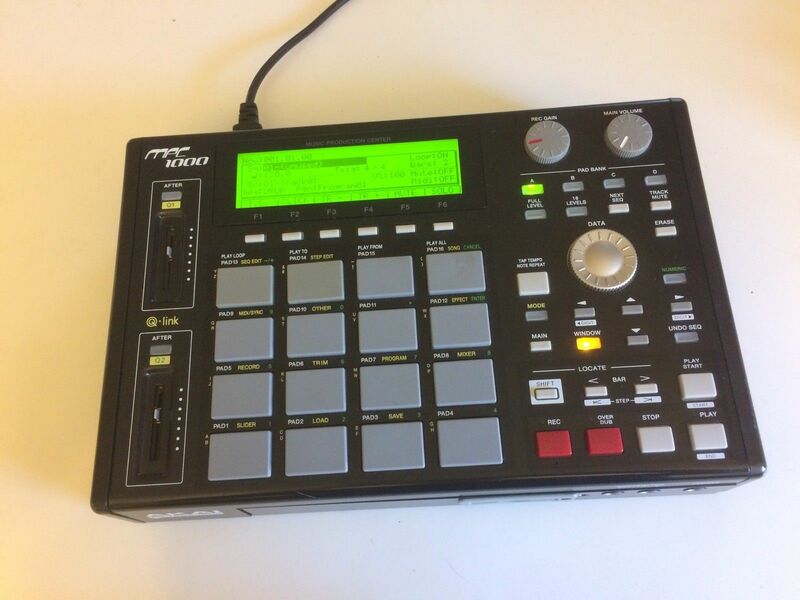 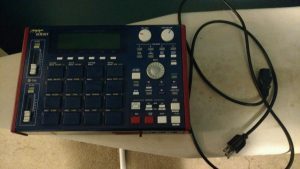 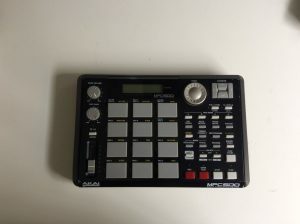 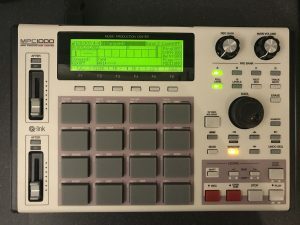 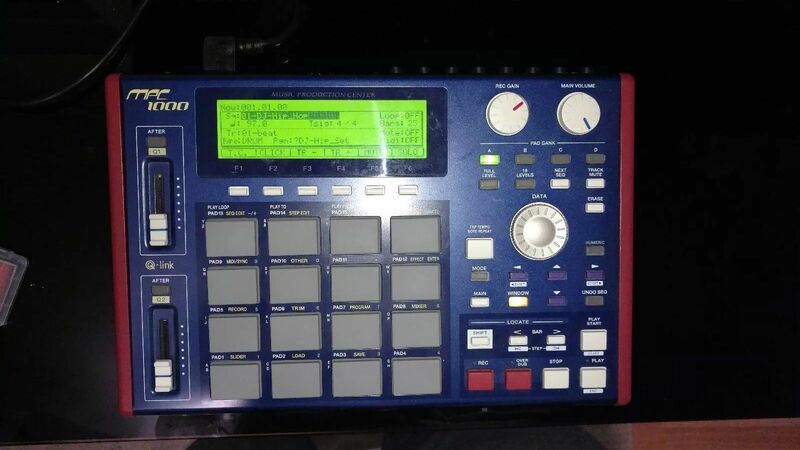 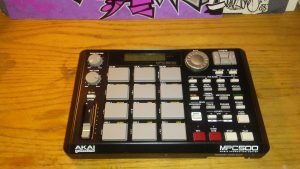 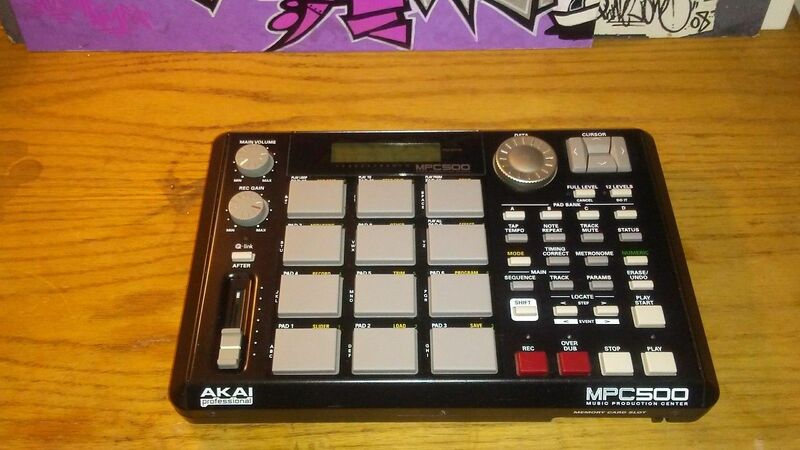 “For auction is my Akai MPC 1000 black face drum machine/sampler. The MPC is in mint condition and has the full 128mb RAM memory and JJOS 3.16 operating system installed. 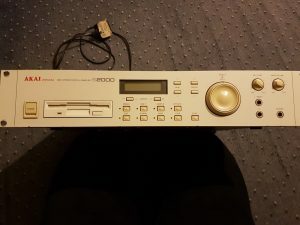 Includes manual, scsi cd drive (external) floppy drive and Zip drive (external). Collection only but buyer can arrange postage if required. 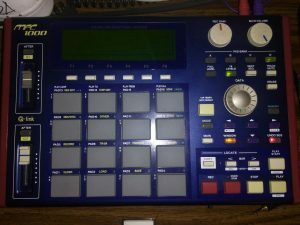 “Works perfectly and has all the necessary cables and instruction book to get going within 2 minutes. 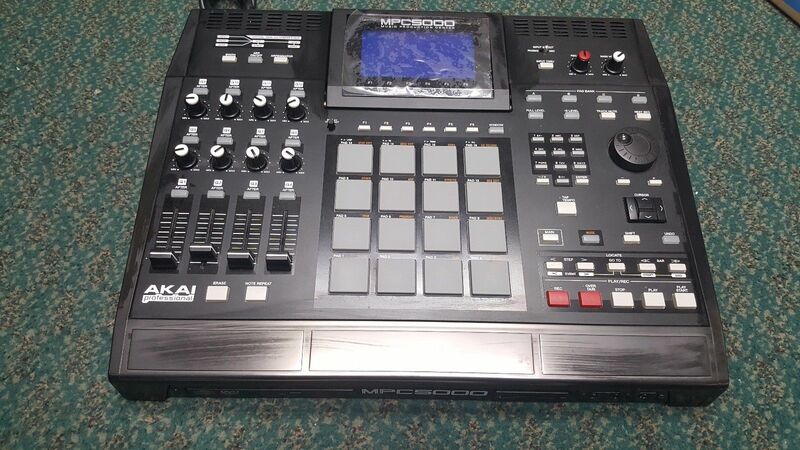 Very minor scratches along the front panel before the pads but otherwise in great shape. 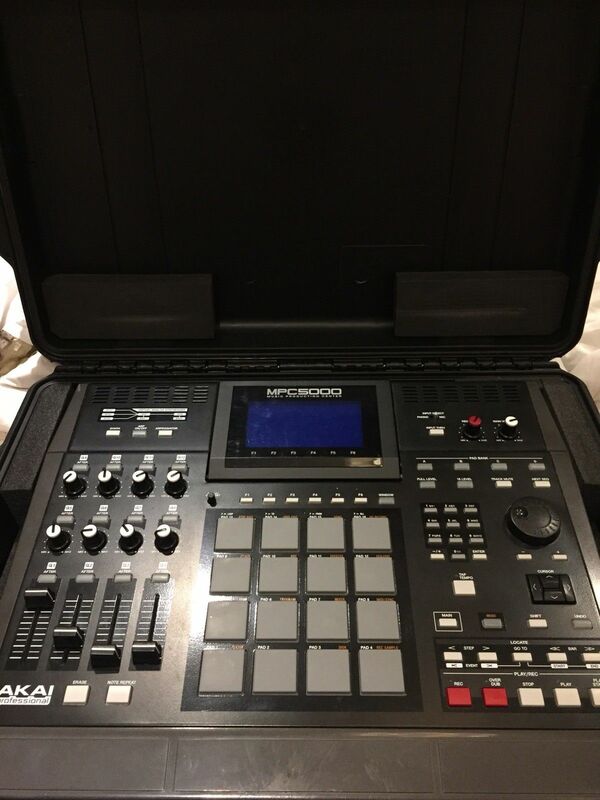 Heavy duty travel case also included (has a few scratches here and there from use) but is pristine inside. 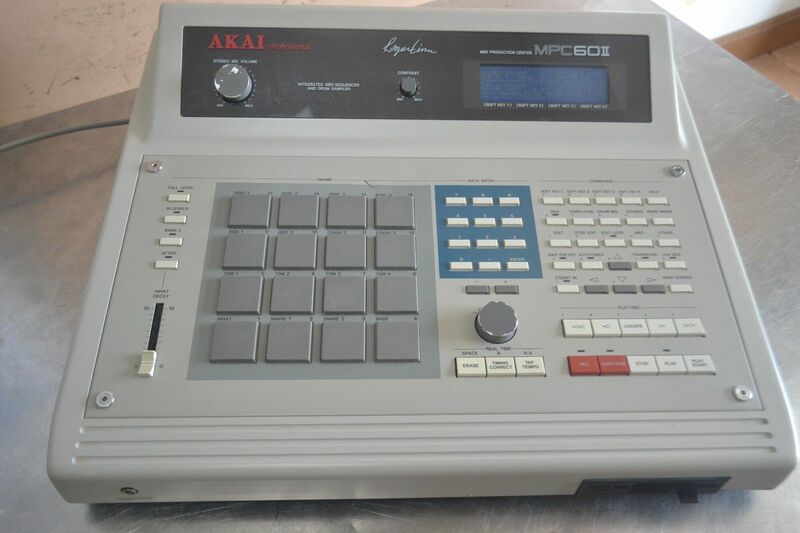 “Akai MPC1000 with expanded RAM of 128MB. It is in full working and good cosmetic condition.